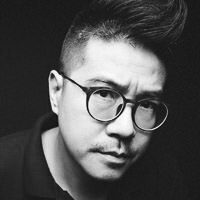 Ken Tam was born and grew up in Hong Kong, he photography for corporate, boudoir, editorial and portrait over the past decades. He is now based in Greater bay area and coverage China cities included Zhuhai, Zhongshan, Shanghai, Beijing, Tianjin, Shenzhen, Guangzhou, Chengdu, Dongguan, Chongqing, Shenyang, Wuhan. Ugly pictures are now everywhere, we should fix it with ❤️ . He has been provide photographs for advertising, corporate, design and editorial clients for over 20 years. He specializes in photographing people either on location or in the studio. When he finished his Commercial Design course in Hong Kong Chingying Institute of Visual Arts in late 1987, he is hooked by photography. Design and art theories make him understand that color and form can have a profound psychological impact, and this knowledge benefited him to create graphically strong images when he is behind the lens. Photo assignments have taken him to Greece, Australia, Thailand, Singapore, Myanmar, Hong Kong, Macau, Shenzhen, Zhuhai, Zhongshan, Dongguan, Guangzhou, Shanghai, Xiamen, Beijing and many other cities in China. His clients include the world's top multinational corporate. 2009 as contributor of Photographer Direct. 2005 Ken Tam commission by Porsche China as official photographer of the GruppeM Racing team in FIA GT. 2005 invited as member of "Professional Fashion Photographers Association" PFPA ID:PP18875. BTS of Ken Tam Photography Behind the scenes of Ken Tam photography in commercial, corporate, editorial, fashion shoots.